Music playing is an abbreviated version of "Antarctic Dreams" written by Karen Ronne Tupek with Mack Bailey, sung by Mack Bailey with Karen singing harmony. For full version, click on song title above. To speed loading of page, click on Turn Music Off. 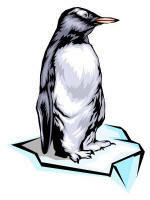 This "About" page is geared toward Professional Career information and more about Karen in the Antarctic. Use "Folk Music Passion" Link Above for Music and Personal Interests. March 5, 1951, Washington, D.C.
Karen Ronne Tupek, an architectural graduate of Washington University in St. Louis, was the Department of Veterans Affairs’ Historic Preservation Officer, located within the Veterans Health Administration’s Office of Facilities Management. She retired in Spring of 2006. She was responsible for all department wide Cultural Resource Management Programs, establishing departmental policy and implementing a nationwide program to preserve resources consisting of over 75 medical center historic districts, 28 single historic buildings, 31 archeological sites, and over 90 national cemeteries. . In her thirty-two year career with VA, Karen spent 25 years in the preservation office, learning preservation from the ground - up, before there were formal university programs. Early on, she served on the interagency committee at the National Park Service to develop today's preservation design standards. She also worked with medical facility design, handicapped accessibility issues, and state owned veterans nursing homes. As the VA’s preservation advocate, she advised on preservation planning, design, and compliance review requirements in program and construction activities affecting historic properties. Specifically, she had been closely involved in every aspect of the program in the facilities arena: identifying, evaluating and nominating eligible VA properties to the National Register of Historic Places; suggesting specific design details on construction projects; contracting archeologists; writing and reviewing historic assessments; directing compliance with Section 106 and writing agreement documents; providing training on preservation requirements to field and central office personnel; lecturing on VA history and architecture, preservation design and cultural resource management; and writing VA-wide policy and guidance. Karen designed the VA’s historic preservation website, as well as several historic and architectural exhibits, including the huge 40-panel exhibit that hung in the Pension Building's National Building Museum during the festivities celebrating VA's 50th anniversary in 1980, and more recently, a large section of the National Veterans Museum in New York about the history and architecture of VA's facilities. Additionally, she served on the Task Force to design and create a new National Veterans Museum in downtown Washington. Karen was invited to be on the task force at the National Institute of Building Sciences to write a new comprehensive section on Historic Preservation for their popular website, The Whole Building Design Guide. 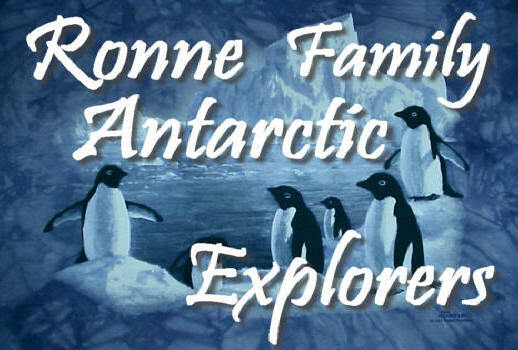 Karen is the daughter and granddaughter of polar, especially Antarctic, explorers. She was a member of her father's expedition to the high Arctic, very close to the North Pole, visiting historic sites important in exploration. She traveled in February 1995 to the Antarctic to visit a historic base, constructed by her father, where her mother became the first woman to visit and over winter in the Antarctic on their private expedition. Combining her profession with her heritage, she worked with the National Science Foundation to make his base an international historic site and to preserve it, and she contributed material to the site museum. Karen was able to fulfill her dream to ski in the Antarctic. She has returned five times and twice semi-circumnavigated the Antarctic continent. In addition to numerous preservation organizations, Karen is a member of the National Society of Arts and Letters (for which she ran an architecture scholarship competition), the Antarctican Society, and the Society of Woman Geographers (for which she served on the Museum exhibit committee and made a set of 12 large posters depicting the society’s Gold Medal Winners, Special Achievement Award Winners, and Flag Carriers, for display at the last two Triennials). Karen served on two community organization's boards in Bethesda, Maryland: as a Vestry member of St. Dunstan's Episcopal Church, she managed the fundraising, design, construction and sales of a new Columbarium (burial structure for cremated remains); and as a Board member of the Merrimack Community Recreation Association she planned and supervised the construction of a new community pool bathhouse and designed the new parking lot. She is an avid skier, plays tennis and golf, and follows folk music (serves on the Board of Focus and assists with the World Folk Music Association) as well as entertains as a folksinger. She continues her life-long interests in Antarctic affairs, lecturing about her parents, and is involved with expanding her vast collections of all things PENGUIN. Karen designs and maintains over a dozen websites for various organizations and several folksingers, including Grammy award winner Bill Danoff of “Take Me Home, Country Roads” and “Afternoon Delight” fame, and the legendary world-renowned folk trio, The Limeliters. Karen is married to Alan R. ("Al") Tupek, a deputy director at the Bureau of the Census. They have a son, Michael Ronne ("Mike") Tupek, born November 10, 1983, and a daughter, Jaclyn Jo ("Jackie") Tupek, born April 2, 1986. Both are in college. Karen is the daughter and granddaughter of polar, especially Antarctic, explorers. She was a member of her father's expedition to the high Arctic, very close to the North Pole, visiting historic sites important in exploration. She traveled in February 1995 to the Antarctic to visit a historic base, constructed by her father, where her mother became the first woman to visit and overwinter in the Antarctic on their private expedition. Combining her profession with her heritage, she worked with the National Science Foundation to make his base an international historic site and to preserve it, and she contributed material to the site museum. 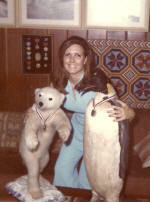 Karen was able to fulfill her dream to ski in the Antarctic. She had returned six times and twice semi-circumnavigated the Antarctic continent. Santiago, Ushuaia, Rothera, East Base, Lemaire Channel, Petermann Island, Prospect Point, Paradise Bay, Cuverville Island, Port Lockroy, Palmer Station, Deception Island, Aicho Islands, Elephant Island, Falkland Island, Port Stanley. At the bottom of the world, a land of white snow calls. Its frozen landscape draws me there, as dusky sunset falls. I sit and think about my dream, and know that I must go. Of nature's beauty, so serene. In my Antarctic Dreams, in my Antarctic Dreams. I'm part of this true solitude, I'm totally enraptured. Among icebergs born from glaciers, gently carved by pounding waves. Turquoise glows within the ice, reflected in the light. Over whipped cream covered mountains, and passing icy floes. I leave my routine life behind, as I dream about this place.